My wife and I had our first child this summer. Our lives are very different now, but Emma has been a blessing to us and I wouldn’t change a thing! Having a baby has changed our budget in several ways, notably for baby supplies and health insurance. But one thing I hadn’t anticipated was the effects our newborn would have on our taxes. Get your child a social security number. One of the first things you will need to do for your newborn is to apply for a Social Security Number. This was done for us at the hospital – we just signed a form as part of the paperwork process, and the hospital staff sent in the paperwork for us. I’m not sure if this is standard at most hospitals, as this is our first child. You will need a Social Security Number for your child in order to claim him/her on your taxes, as well as apply for medical insurance, and other programs. Your child will also need an SSN for school registration and throughout life, so you should get it as soon as you are able. Take Advantage of the Child Tax Credit. The child tax credit could give you a tax credit of $1,000 each year until your child is under age 17. This tax credit may not be available to everyone as the credit begins to phase out once your modified adjusted gross income is above a certain amount ($110,000 for Married Filing Jointly). See the IRS child care tax credit page for more info. Update your W-4 with your employer. Your W-4 is the form you file with your employer to let them know how much money they need to withhold from your paycheck to cover your local, state, and federal income taxes. Claiming your child on your taxes as an additional dependent could increase your take-home pay each month. Use pre-tax dollars for childcare. Some employers offer a childcare reimbursement account, or flexible spending account, which can be used to pay for childcare. Some plans allow you to contribute up to $5,000 of your salary before it is taxed into a special account which can be tapped for child care expenses. This savings is only available through your employer, so check with your employer for plan availability. For more details on eligible expenses, download IRS Publication 503, Child and Dependent Care Expenses. Use the child and dependent care credit. You can claim the child and dependent care credit on your 1040 by attaching Form 2441. This child care credit can be used in conjunction with the flexible spending account option, but you can’t double dip and claim the same expenses twice, and credits begin phasing out once your adjusted gross income exceeds $15,000. Here is an IRS page that gives more information: Top Ten Facts About the Child and Dependent Care Credit. For more details on eligible expenses, download IRS Publication 503, Child and Dependent Care Expenses. Claim the adoption tax credit. You can claim the adoption tax credit on your 1040 by attaching Form 8839. You may be able to claim up to $12,150 in 2009 if you adopted a child. See the IRS Topic 607 – Adoption Credit for more information. Start a College Fund. Many states offer a 529 College Savings Plan, which may offer tax advantages depending on your state’s laws. The added benefit is that earnings grow tax free and withdrawals can be made tax free when the funds are used for qualified educational expenses. Coverdell Educational Savings Accounts (ESA), are another educational savings option that may offer you tax benefits. Having a child is expensive, but thankfully there are some nice tax deductions and credits available to help defray the cost of raising children and funding college tuition. Even though each of these may not apply to your situation, each of these is worth investigating. Contact your financial planner or tax pro for more information. So far, my wife and I have started our child on a strong financial path by opening a savings account and a 529 plan for her. We chose the Ohio College Advantage 529 Plan because we are Ohio residents, and the plan was offering a $25 bonus for New Accounts (you do not have to be an OH resident to open an Ohio 529 plan). Wow, you are in my backyard practically! I think the Collegeadvantage program is great (especially the deduction from Ohio State Taxes… even if it is only $2,000 per account). I use the age based fund “previously Putnum, but now Vangard”. Unfortunately, the time I started wasn’t a good year, so my return has been flat to mediocre at best. I’ll have to take a closer look to see if my company has a “childcare reimbursement account”, since my wife is starting to work part-time a few days a week (now that my 6 year old is in school). Great job on the post! A coworker just adopted. I will make sure he is aware of the opportunity. We were just discussing the possibility of an adoption credit. It’s sad that it’s limited to $12,000. Seems to me that if anyone is willing to take on the the challenge and expense of adopting a child they should get a tax credit for every dollar they spend. People willing to share their love and care for another child are truly special and deserve all the support they can get. Adopting is an amazing act of love, and I have a lot of respect for people who adopt a child. I think the tax credit is a nice help for them. I bet the limit came from a time when adopting was less expensive and probably hasn’t been updated…. but I could be wrong. I love it, with a little planning in advance your little bundle of joy can also be a bundle of tax deductions! For our first pregnancy my wife and I had to use a fertility expert at a total cost, when medicine and hospitals were added, of over $30,000. Unfortunately, we were not able to take advantage of the medical expense itemized deduction because the payments were spread over two years and they didn’t clear the 7.5% hurdle for itemized deductions. God blessed us with a son on that attempt. In our efforts to give our son a little sister or brother, we switched our insurance to a high deductible with an HSA and filled up up, paying for the treatment with pre-tax dollars and thereby knocking off about $5,000 from our tax bill ($20,000 cost of treatment * 25% tax rate = $5,000, the treatment was unsuccessful and therefore less expensive). Now we are investigating adoption and that isn’t cheap either, but as the comments above show there are tax advantages to help defray the cost. Children are certainly the greatest of God’s blessings, congratulations Ryan on your daughter. I find the tax breaks to be relatively substantial and I will take a real hit once my kids reach an age where I no longer qualify for the benefits. I’d also like to give a shout out to parents who choose to adopt their children. Both my sister and I were adopted and I thank the good Lord every day for giving us such a great mom and dad. All good advice. What about teenagers? Their tax situation gets complicated because they start earning money themselves. Although a cute baby like yours could earn money as a model! 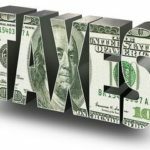 I’ll email you about using some of my posts from TeensAndTaxes.com, a site I just created.